Are you looking for toilet repair in Morris County, NJ? At 1st Choice Plumbing, Heating and Drain Service, we are professional plumbers and homeowners who understand the hassle plumbing problems can be. We provide a full range of residential and commercial toilet services including toilet repair in Morris County, NJ. We are a fully insured, licensed, and bonded plumbing company providing residential and commercial property owners with affordable plumbing services when you need them. At 1st Choice Plumbing, we work hard to bring you quality, long-lasting results. Our plumbing company aims to provide our customers with affordable and reliable toilet repair day or night. Toilets break just like anything else, but it is one of the worst appliances to have unavailable for any period of time. Call our NJ toilet repair team and the issue will be resolved soon and with as little inconvenience to you as possible. In addition to our toilet repair services, we are a premier plumbing company that can handle AC, heating, sewage, drainage, plumbing and other problems with ease and professionalism. While there are do-it-yourself remedies found in your local grocery store, they are not always fully guaranteed to effectively stop the problem. Likewise, disregarding a problem with your toilet can lead to larger problems including sewage leaks and structural damage, costing you much more money in the long run. At 1st Choice Plumbing, Heating and Drain Service, we provide effective toilet repair without delay. Our professionals have the experience and skills to remedy any toilet problem you may be experiencing. No matter the size or severity of your toilet issue, we have the capabilities to promptly complete the job to your satisfaction. With our 24/7 emergency toilet repair services, you can be sure to receive expert attention and service at any time to alleviate your toilet problem and restore normalcy to your life. 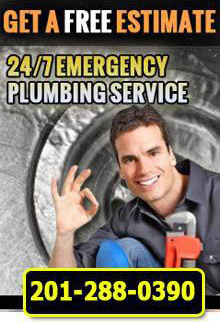 Our expert plumbers are on-call, day and night, to bring you expert levels of service. No matter the time or issue, our plumbers are just one phone call away. To avoid further damage with toilet solutions that do not quite work, you need trusted plumbing technicians who can provide you with the right solution. We've established ourselves as providers of reliable toilet repair, and continue working hard to ensure our customers receive quality service, professional engagement, and prompt completion time. In our many years of service, we have received an abundance of support and kind words from former customers, and we hope to receive yours, too! 1st Choice has developed through our principles and standards of work quality, placing your satisfaction and needs first. When you choose 1st Choice Plumbing for your home or office toilet repair, we will promptly restore your property to a properly functioning and stress-free environment. For more information on our toilet repair in Morris County, NJ, call 1st Choice Plumbing, Heating and Drain Service at 201-288-0390!